The Times Vintage was born out of an intrinsic love for art & artifacts of the past. 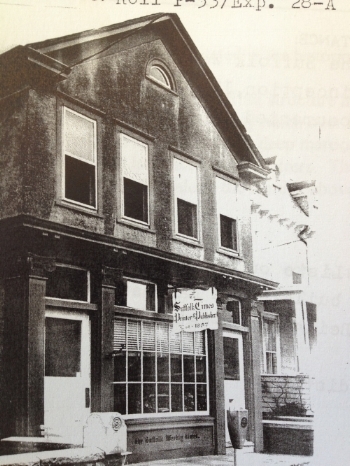 Our brick & mortar shop is aptly located in what once housed the Suffolk Times Newspaper office. Built in 1909, the two-story stucco building is sanctioned in the small yet bustling fishing village of Greenport, NY. In keeping with it’s local history The Times Vintage is an ever-evolving chronicle of times past by way of art, fashion, furnishings & vinyl records. Our spacious shop is filled with one-of-a-kind pieces that are gently used & genuinely loved. Each item is hand selected & carefully curated based on it's uniqueness, the story it tells, & the nostalgia it evokes. We hope our shop evokes some form of nostalgia & happiness within you too! Meet the people that make The Times Vintage tick! Texan. Old soul. Dreamt of having a vintage shop since she was a little girl. Specializes in vintage clothing. Inspired by the slightly gaudy, kitschy & colorful world of the 50s, 60’s & 70’s. Without proud Papa Sweigart The Times Vintage would not exist. Geologist with a love of gemstones, music & a weakness for lamps. Our #1 supporter & shop promoter. Madison striking a pose in a vintage 2-piece!